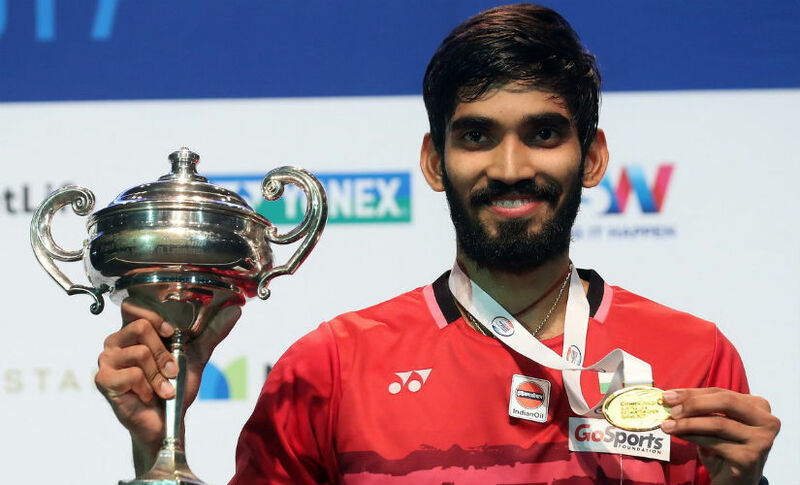 In Indian sports, 2017 undoubtedly was the year of badminton and on the forefront of the rise of the sport was a 25-year-old from Guntur, Kidambi Srikanth. In 2017, Srikanth became the first Indian and only the fourth player ever to win four Superseries titles in a year. His amazing run has set high standards for India men in badminton as they finally caught up with the women's singles division headlined by the exploits of Saina Nehwal and PV Sindhu. "I think we have done really well and it is not just in men's singles but also in all the five events. We've had few exceptional performances in men's doubles (Satwiksairaj Rankireddy-Chirag Shetty), mixed doubles (Pranaav Jerry Chopra-Sikki Reddy), women's doubles (Sikki-Ashwini Ponnappa). HS Prannoy, Saina and Sindhu have also performed really well. 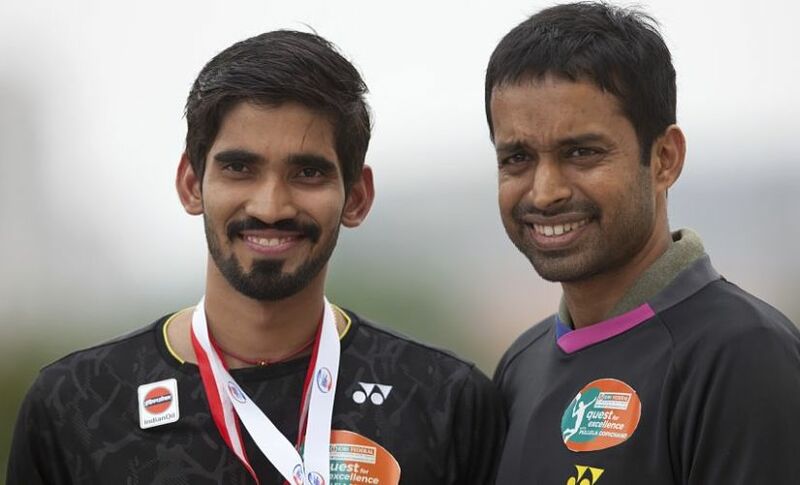 "If we continue doing well and train hard, I think there is a definite chance that we will do much better this year," said Srikanth in an exclusive interview with Firstpost, on the sidelines of the Times of India Sports Awards (TOISA). Presently the World No 3, Srikanth is now part of a badminton ecosystem where the top ranking is fluid and up for grabs for different players, unlike the time when shuttlers like Lin Dan, Lee Chong Wei and Chen Long dominated the game for almost a decade. The competition has widened a lot more, with Denmark's Viktor Axelsen taking the top spot after a year that saw him defeat Lin to win the World Championships, and overcome Lee to lift the Dubai World Superseries title. "I think slowly everyone is playing well. Viktor has done really well last year. With Viktor breaking it and Son Wan Ho staying at the top position for a long time (15 weeks), it is a lot more open now. I think everyone is now playing at the same level and it is very important to be that little five percent better than your opponent on the given day," said Srikanth who reached a career-best ranking of World No 2 in November 2017. While the 2017 season was more about Srikanth achieving individual glory, the 2018 season finds him shouldering the added responsibility of representing India at premier events like the Commonwealth Games (CWG) and the Asian Games. With the CWG scheduled to start on 4 April at Gold Coast, Australia, the Indian shuttler feels confident about his chances at the quadrennial event. "Though China doesn't compete in the event, there is good competition from the Indian players themselves who have been doing exceptionally well. However, if I am playing my best in every match, I have a chance of winning the gold," said Srikanth who went on to add that he believed that it was more important for him to take it one match at a time. It is this approach of setting short-term goals and developing his match fitness that kept Srikanth in good stead in the past year, which saw his mercurial rise from outside the top-30 to firmly cement his place in the top-five of the world rankings. Though a naturally attacking player, Srikanth incorporated new dimensions in his game and mixed up his styles to evolve a better, and clearly more successful, style of play. This can be attributed to the training imparted by the numero uno badminton coach of India, Pullela Gopichand, and the Indonesian coach Mulyo Handoyo, who orchestrated the rise of Indian badminton in 2017. However, with Mulyo's exit from the Indian badminton scene, Srikanth feels he will certainly miss the renowned Indonesian with a stellar 30-year coaching experience. The 2018 badminton season is becoming infamous for the change in rules and scheduling that has run into a lot of hot water. The scheduling has been widely criticised by top shuttlers, who feel the cramped Badminton World Federation (BWF) calendar can lead to burnout and injuries. 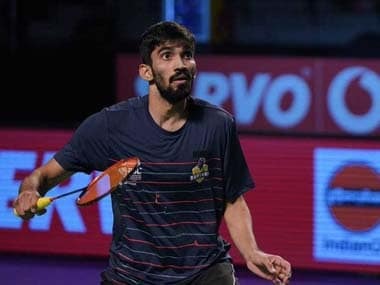 Srikanth, who missed out on a few events in the last quarter of 2017 due to injury, also had a delayed start to his season due to an abdominal muscle strain. The forthcoming All England Open (14-18 March) will not feature the World No 1 Axelsen who has pulled out of the tournament due to an ankle injury. While this presents Srikanth with an opportunity to make a considerable jump in the rankings, he appeared to be quite nonchalant about it. "I'm not actually very concerned about the rankings for now, I am more interested in doing well at the All England Open," said Srikanth, who feels that the only important thing ahead of a long 2018 season is to stay fit, train hard and remain injury free. With BWF planning a lot more changes than just the cramped schedule, badminton seems to be at the verge of going through a major upheaval. However, among the many changes, if there is something the World No 3 prefers to stay as is, it is the scoring system. The BWF has proposed a change in the scoring system from its present three games of 21 points format to a new system of five games of 11 points. When asked about his preferred choice, Srikanth flashed his famous grin and tongue-in-cheek replied, "I personally prefer the 21-point format. It has clearly worked for me."